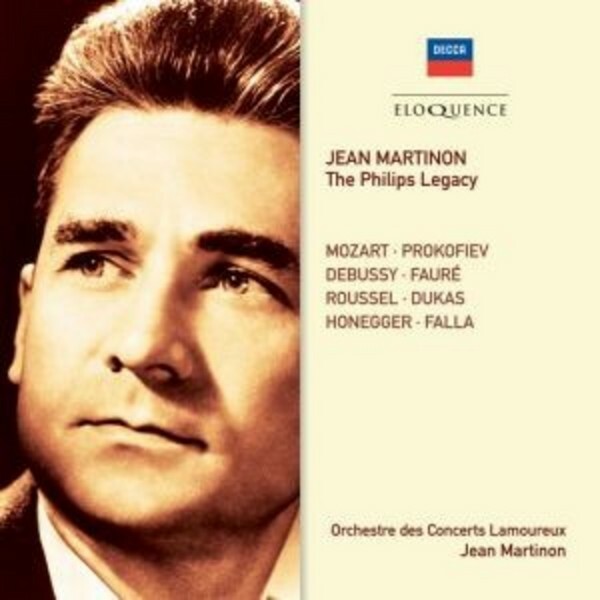 From 1951 to 1957 Jean Martinon was principal conductor of the Orchestre des Concerts Lamoureux, an outfit that at the time ranked as one of the best in France, alongside the Orchestre national de la Radiodiffusion fran�aise. As is demonstrated by the different musical landscapes traversed in the Philips sessions, he made his mark in a wide variety of repertoire. The revelation of his versions of three Mozart symphonies, Nos 31�33, made in the composer's bicentenary year of 1956 for Philips's French operation and completely neglected until this release, makes a lasting impression. Martinon here is literally glowing, breathing the music with disarming ease, just as in Haydn. He unerringly grasps all the visceral energy and inherent hedonism of the works, and he conveys its late-eighteenth century theatrical leanings and sunny lyricism. He had already established a formidable reputation as a seasoned interpreter of French music in the 1950s, and this part of the repertoire occupies a select place in this retrospective of his Philips recordings. Devotees of the stereo versions that appeared on Erato will be astonished by his first Roussel recordings (the suite from Le Festin de l'araign�e on 9 and 11 February 1953, and Bacchus et Ariane on 4 and 5 October 1954).